← PBS NewsHour features Swinomish Climate Change Initiative and Billy Frank Jr.
* Please visit the maps section for directions to the Landing, directions to the Potlatch Protocol that follows. Expect canoes to arrive around 1:00 p.m. (depending on weather and tides). 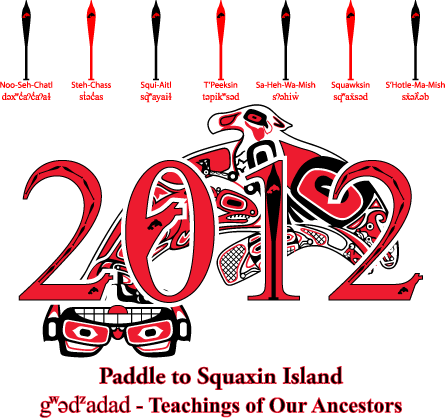 This entry was posted in Events and tagged Connecting with Spirit, First Nations, Honoring, Human Rights, Paddle to Squaxin Island, The Canoe Way. Bookmark the permalink.